I've hAP ac router. Tried to install several SFP-modules in it. Everything is OK except the SFP modules temperature. All of them are extremely HOT after 30 secs of work. Is this normal behaviour of router or smth is going wrong? My experience with SFP and SFP+ modules (different vendors) in non-Mikrotik equipment is that some SFP types run hot and some run cool. In very same router/switch so most likely "SFP environment temperature" (read: SFP cage in router) is almost the same for all SFP modules ... routers are well ventilated so I don't believe that adjacent SFP cage temperatures would be almost 20° apart from each other. Yes, I've seen 20° difference in temperatur of adjacent SFPs in same router. 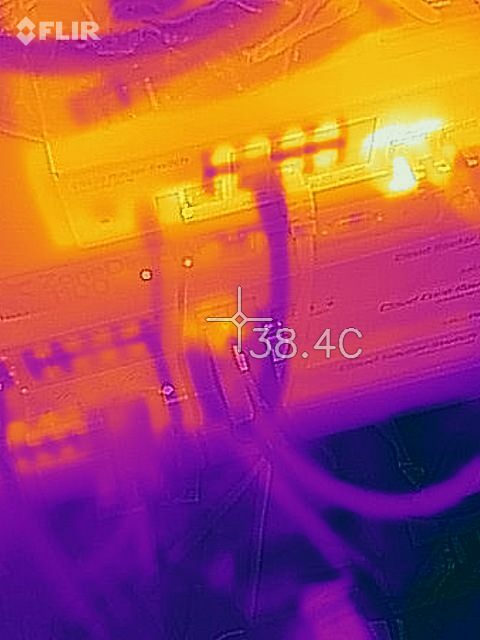 On a datacenter environment (fixed ambient temperature at 21°C) my Mikrotik S+85DLC03D SFP+ modules run at ~40°C. The router health monitor shows a temperature of ~36°C. On an outdoor installation with an OPTIC-SFP-5324S-20-SC SFP module during winter (outside temperature between 0-15°C) it runs at ~43°C. So it depends on the module and on the environment it's being used. But in general my experience is that SFP modules get hot. As long as the temperature is within the specs, it should be ok (of course, the cooler the better). The OPTIC module I mentioned has been working in that environment for over 5 years without a hitch. All of them are extremely HOT after 30 secs of work. Out of curiosity: how does "extremely HOT" translate into degrees Celsius? extremely hot means about 65-70 C. I can hold it with my fingers less than a one second after pulling it out of Mikrotik. I want to talk to you about ccr cpu load. Please let me contact with you asap. My HAP AC is in my non-heated garage, it’s 5C outside and the SFP is running at 43C. My rb3011 is in my basement which is 20C and it’s SFP is running at 31C. Yes, the HAP AC does something that makes the SFP run hotter. Does it matter? Not in my experience even using cheap FIberstore brand SFP modules. I’ve had mine running for at least 18 months in the garage and it the temps in the garage vary from -21C to 45C. I own 2 S+RJ10 spf+ modules and CSS326 switch, these spf+ modules are extremely hot. I have to open the css326 case, put a fan directly besides these modules, and install small heat sinkers. If it works in between the range, that's normal. Yep, have the same issue. Seems to be about 70 C. Methodology to measure was quite simple. I used less reflective than SFP module cases screwdriver bit and put it on three SFP+ modules. And when it got hot (in a few minutes), measured temperature with laser thermometer. This methodology is not ideal and real temperature could be even higher. Here is my workaround solution. Temperature now managed around 50C degrees. Great Idea, gotta URL for those sinks? Here is the temps for S+RJ10 in CRS210 and CRS328. Does not get that hot in CRS328. Also not too hot in CRS210 if no connection. What kind of FLIR did you use? Hey! My SFPONU module from Mirkotik is also super hot when plugged into hAP ac. Not sure if that's a problem or not. Doesn't matter if the cable is connected, it heats up immediately after installation and doesn't cool down. Don't have any suitable thermometer, but subjectively it's > 60 C since I can't hold my hand on it for more than few seconds. Wow. Well I guess it's the same here, really hot! Do you consider this normal? For how long have you been using the SFPONU in this condition? 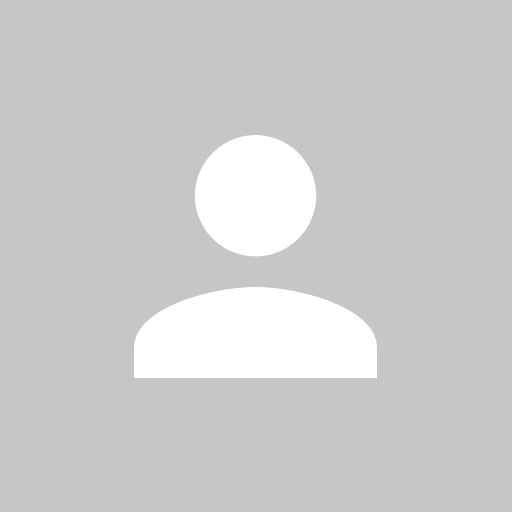 Were you given any support for the case from Mikrotik or your reseller? Since yesterday I have hooked up the new RB750iGS the ISP by fiber and so I have installed a SFP module. The temperature readout was 51 degrees Celsius and not extreme hot but hot and summer coming I was thinking of a way to reduce it. On the front there is not much room to attach a heatsink and for that I have look inside. Then I thought what if I could clamp it on....so I search for a old hair holder and bent the legs to make a good contact and put it on the SFP. It looks nut much but I get a temperature readout of 47 degrees and so having a temperature reduction of 4 degrees. I can surely optimize the contact area and I have thermal glue and I looking now, how I can use the metal section next to the fiber connector to cool even more. There is an other reduction in temperature by 3 degrees Celsius. I removed the hair clamp and put two flat heat sinks at the bottom and top. I applied some TIM (thermal paste) on the bottom one and will glue that one to a RJ45 so it will sit snug. The top heath sink is pushed between the power connector and that one really sits snug at the SFP and needs also some TIM. Last edited by msatter on Thu Jun 28, 2018 9:29 pm, edited 3 times in total. I have eventually switched provider to one who uses point to point FTTH and installed a different SFP module into my hAP ac. Currently the temperature is 59 at the module and 53 system. The unit is standing inside a plastic enclosure so that could reduce by a number of degrees if I put is into a ventilated env. I made pictures of the new temporary setup with real heat sinks. The top one is pushed between the powerplug and the SFP and the lower one rests on a dummy RF45 and to press the heat sink up there is a washer between them. Because there is not a perfect fit for the lower one I have applied some thermal-paste. In the final version I will glue the heat sinks to the SFP. The measurements of the heat-sinks are 2,5cmx2,5cm and the thickness is 5mm. To give the power plug more room you can file in the middle some material away. Update 2: the fan is so efficient that the temperature of the FSP is below the temperature in the box . Well done, is a good tip to prevent overheating. Can I use these images on my website please? You may use the pictures. Don't forget to tell that not to much tension is put on the RJ45 and the power connector. To reduce the tension on the power connector you should use a round file create a space in the ribs of the heatsink. Glueing is also possible but I first want to order also a 10km version that my be a bit cooler than this 20km version. I have also a small fan blowing over the RB7606iGS which helps also. I guess SFP in equipment that is not fan-cooled and not in a datacenter environment was not really envisioned. When I later will use the VDSL2 SFP I'll probably add some cooling too. I have Mikrotik in the utility close to the outside wall so it gets warm and toasty especially these sunny days. The heat generated the optical devices seems more moderate than purely electrical SFP modules. And those sqaure copper heatsinks looks to me to be very efficient but I don't enough extruding SFP to use them. There are also cages that have heatsinks and that would be inside the router. There are even peltier type of coolers. 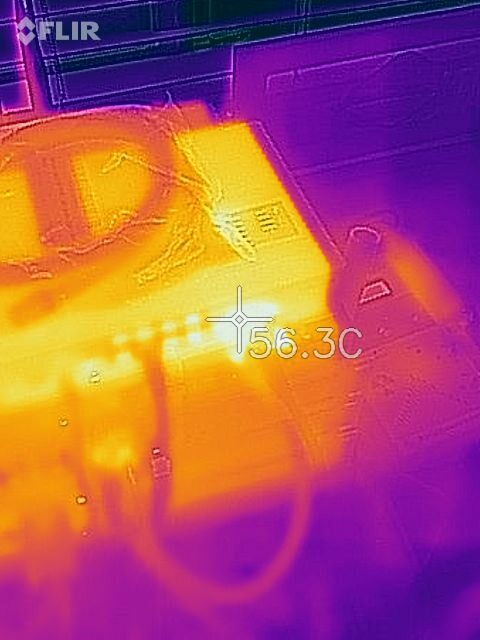 When I turn up the fan the external heatsinks will also draw heat from PCB inside. As soon as it is a bit cooler I go to passive cooling only. I still want to get some spare to experiment with but a spare for an optical is not a bad idea and they cost less than 10 euros a piece. I read that even in cooled surrounding the lifetime can be even less than three years. I got me a second RB760iGS and modified it differently. I made a heath conducting bridge between the SFP cage and the metal surrounding the network ports. This was not enough and I put again the heathsink between the power connector and the SFP module. The temperature stays below 50 degrees Celsius without any fan cooling. This is also archived because the ambient temperature is lower on the moment. Wow! I was just about to ask the same thing! I just got my brand new hAP ac & GPON SFP (genuine MikroTik one). In a room where ambient temp. is 18C my Tik is showing 50C(!!!) internal temp. Router's CPU is idling, there is no traffic or load whatsover. My Tik is now smelling bad, like a burnt electronics. I can't touch the SFP with a bare hand. It's extremely hot to the touch. What happens after I configure my Tik and load gets high (I'm planning a CPU-heavy IPsec tunneling)? Is it safe to leave this unattended? Can we please get an official MT statement here? I have eventually switched provider and have a different fiber technology. However it's still heating up. My hAP ac is standing inside a wall box with limited air flow. The system board temperature is *53* degrees, and the module temperature is *59* degrees. I should also note that I'm residing in Israel with average ambient temperature around *26* degrees. The commercial temperature range of sfp modules is between 0 to 70°C. So if the working temperature of your sfp is lower than 70°C, you don't need to worry about it too much. Hi, i have a problem with Mikrotik S+RJ10. It is working normal for a few hours after that no traffic on between the switches. I use 2 CSS326-24G-2S+ and 2 S+RJ10 cooper sfp modules to bridge the switches. What i saw is that the temperature of the sfp module is > 90 degrees Celsius. You will have to install a fan! "Any MikroTik device with active cooling that has SFP+ ports can now be used ..."
So, only when the product has a fan. I think the CSS326-24G-2S+ has the fan only as an option, isn't it? I also noticed this behavior when mixing certian vendors. Why is that? Does it feed with to high voltage/current or drive the transciever to fast? CRS106-1C-5S in an apartment "wiring closet" with slight ventilation, two SFPs. Both report 56 degrees C.
That's not much headroom considering during summertime it can get some 10 degrees warmer. I wonder would SFPs run colder with individual, unmanaged media converters. I use CRS for switching only and my edge router has free ports so media converters could be used. Are you still in the same situation. Media converter (TP-Link MC220L) I have used for testing has no factory radiators installed. With inserted SFP, it quickly got hot, temperatures around 65°C without any traffic. Additionally, converter introduced couple ms of delay. My experience was not positive. I've have took apart couple of SFP from different vendors. Simple ones have one small IC and no cooling at all. Others might have some tape transferring heat to the enclosure. More expansive ones like GPON SFP might contain more components like RAM, GPON chipset and flash. This requires better design. For example FGS202 used in France for Livebox4 have cooling for laser module and GPON chipset. Notice thick ~3mm metal radiator under white tape.